Winnipeg, Manitoba – Ukrainian Canadian Congress President Paul Grod is pleased to announce the appointment of Mr. James C. Temerty, C.M. as the Chairman of the newly-founded Ukrainian Canadian Congress Advisory Council. Mr. Temerty will be the inaugural chairman of the Ukrainian Canadian Congress Advisory Council and will work with the President to develop the Council’s membership with prominent supporters of the Ukrainian community in Canada. The Advisory Council to the Ukrainian Canadian Congress provides strategic advice and support to the President and Board of the Congress. Mr. Temerty is Chairman of the Board of Trustees of Northland Power Income Fund. Previously, Mr. Temerty owned and operated the world’s largest privately held chain of ComputerLand stores. Prior to that, he held numerous positions with IBM in Canada and the US and assisted in the founding of Softchoice Corporation and served as its Chair for 15 years. Mr. Temerty has been an active community leader and has played instrumental roles in philanthropy. He was chairman of the Ukrainian Centennial Fundraising Campaign, a member of the Sunnybrook Hospital Foundation Governing Council, Co-Chair of the Havergal College Capital Campaign, a director of the Toronto Symphony Orchestra and the Canadian Psychiatric Research Foundation. Internationally, he was instrumental in launching the Kyiv Mohyla Business School of which he serves as Chairman of the Advisory Council. He chaired the Ukrainian Election Observers Campaign, facilitating 500 private sector election observers to the 2004 Orange Revolution presidential election. He is a donor and Trustee of the Children’s Hospital of the Future in Kyiv, Ukraine. 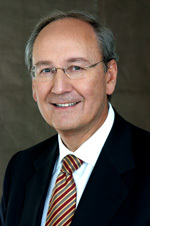 From 2002 to 2009, Mr. Temerty served as Chairman of the Royal Ontario Museum Board of Governors. Mr. Temerty is a recipient of many honours including Member of the Order of Canada and recipient of UCC’s Shevchenko Medal. He has been married 42 years to Louise Arcand Temerty, and has two daughters Melissa and Leah. The Ukrainian Canadian Congress (Congress) is the voice of Canada’s Ukrainian community. The Congress brings together under one umbrella all the national, provincial and local Ukrainian Canadian organizations. Together with its member organizations, the UCC has been leading, coordinating and representing the interests of one of Canada’s largest ethnic communities (1.2 million) for 70 years and instrumental in shaping Canada’s social, economic and political landscape. The UCC Advisory Council is comprised of prominent and exemplary supporters of the Ukrainian Canadian community who provide on-going advice and support to help the Congress and by extension the community to realize its potential and ensure its future success.